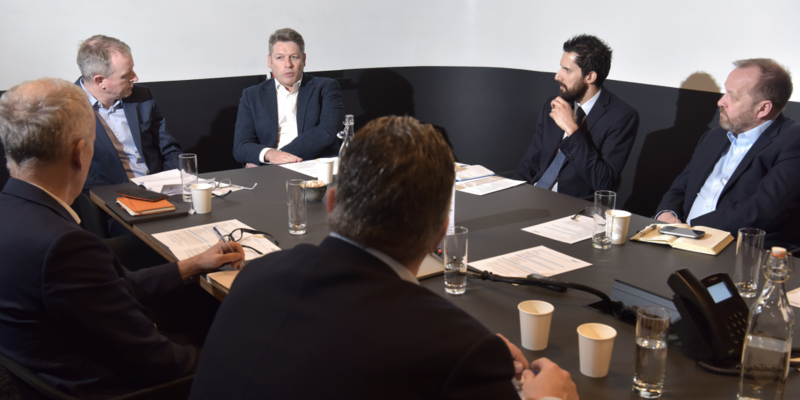 Round table: What role for advisers in a master trust world? Master trusts are transforming the face of workplace pensions, absorbing most of the 10m people automatically enrolled since 2012 and taking over governance, investment management and administration for an increasing number of single-trust schemes. So as these giant schemes continue to simplify the process of running workplace pensions and taking on some of the roles formerly overseen by intermediaries, how will the role of the pension consultant evolve? And will the ability to move away from a provider seamlessly and without undue cost and complication become a prerequisite for signing up with a provider in the first place? 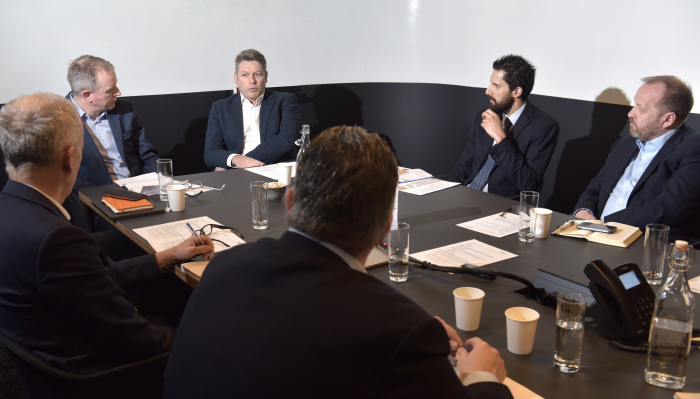 of debate at the recent Corporate Adviser/ Scottish Widows roundtable event, with many delegates predicting a positive future for intermediaries in this fast-evolving sector. Barnett Waddingham national DC consultant Andy Parker predicted that the standard defined contribution consultant role will only be in play for another five years or so. up to a master trust. “At this point, it’s then a case of seeing which is the most appropriate trust for your scheme,” he said. “The most immediate role for the consultant will be vendor selection,” Parker predicted. This, he said, involves choosing an appropriate master trust, and reviewing its performance on a regular basis. Given this need for ongoing oversight Parker argued that one of the key considerations today is looking at the potential exit strategy from a scheme in the event that the provider fails to deliver over the long term. He added that while it may be possible for employers to switch schemes for new contributions, there can be difficulties moving existing assets under management. Different master trusts will take a different approach to this issue. Advisers pointed out that some contracts are “like the Hotel California” – you can check out any time you want, but you can never leave. Nest for example requires individual member consent to transfer and does not group members by employer – this means there is no possibility or concept of a bulk employer-led transfer, said delegates. Buck head of DC and wealth Mark Pemberthy agreed the need to be able to move provider is important, as the market will undoubtedly undergo significant changes in the years ahead. “You don’t have to go too far back into pensions history to find leading pension providers that are no longer active players in the market today,” he pointed out. Legislative changes – such as pension freedoms – as well as increased merger and acquisition activity could be important catalysts for employers to review and switch workplace pension arrangements. “Decisions can be made in good faith at the time, but five or 10 years on, providers may not be as committed to the UK workplace pensions market. Having an exit strategy is therefore important,” Pemberthy added. Premier Pensions consultant Paul Nunns said the adviser’s role will evolve. “But at its core it will be to ensure the companies they advise have a pension scheme that is both high quality and fit for purpose,” he said. Charging may also alter in future – as has been demonstrated by the recent reduction in pricing of The People’s Pension – although delegates agreed that the current margins meant that for most providers the charges were not going to go down much further. The delegates at the round table discussion agreed that pensions are once again starting to move back up the corporate strategic agenda. Pemberthy said he expects this trend to continue. “If people can’t afford to retire – which many can’t at present – this can create problems in the workforce. Staff morale and productivity are affected, and there can be succession issues, with younger workers unable to progress. Businesses can become less agile and innovative as a result. Pensions, he said, play a key part in solving this problem over the longer term. If they can’t see the point of pensions for themselves personally, he argued, then there is the danger this negative attitude would filter down through the organisation, leading to disengagement with the workplace scheme itself. Delegates also discussed whether the switch from single trust company pensions to a master trust structure could further dilute employers’ engagement with pensions. Instead he suggested people may simply come to see it as their own pension pot – like a US 401k fund, or Australian ‘MySuper’ fund – to which their employer is obliged to contribute. He added that he doesn’t think this potential development is necessarily a good thing, as it may encourage employers to simply contribute the minimum. “What they don’t have though is the expense and risks associated with not keeping up to date with pension legislation. A professional independent can address these issues,” he said. He added that it can be a benefit for employers to have the branding and financial strength of an established large master trust standing behind their own pension plan. The pension consultants around the table agreed that master trust providers could be doing more to boost engagement levels. McLoughlin argued that engagement is one of the key things employers looking for, particularly at the smaller end of the market. All the delegates identified a real opportunity to increase employee levels of engagement on pensions. More positively, McLoughlin said he has seen a sea-change recently in the way employees discuss and ask questions about corporate pensions – with today’s workers more engaged with the subject than they had been at any time in his entire career. “This change is being driven by millennials. They understand demographics in a way that older generations did not. They seem to understand that savings for a pension is something they need to get on with,” he said. Pension freedoms may have stimulated interest in pensions from older workers, but digital innovations are also helping to engage and educate younger members. Piecing together the entire package would become an increasingly important part of the consultants role – and that would extend to wellbeing. He said that trying to capture people’s attention for a complex scenario, like retirement, which may be many years away, is like trying to push water up hill. “Pension providers need to make long-term saving about good financial behaviour. Those that can do this successfully will be able to differentiate themselves in a crowded marketplace,” he said. This may involve drawing in a host of other financial data, from banking and insurance to new wellbeing apps, such as Earthmiles, or Yulife, it was suggested. Given the size and reach of master trusts, many of the delegates thought they were well placed to deliver a more comprehensive financial proposition. Peacock pointed out that firms like Scottish Widows, also have access to a wealth of information through its parent, Lloyds Banking Group. This data should however be used to help people manage money better he says, not simply be seen as an opportunity to cross-sell products. Another topic of debate was whether members need advice, or guidance on retirement options. Again this can be seen as a way of increasing engagement. help to ensure they didn’t make a bad decision with their money — rather than looking for tailored advice to maximise investment opportunities. Pemberthy said: “At the moment you have a lot of members coming up to retirement with relatively small pots. According to the FCA huge numbers are cashing out, but this may make sense given the size of their funds. “They do not need sophisticated individual advice on sustainable income blending, drawdown or longevity hedging when they have got less than £10,000 in their pot. The master trust sector may be hoovering up assets and schemes at a significant rate, but it does not look like obliterating the role of the pension consultant just yet.